Dodge Archives - Page 4 of 47 - Muscle Cars Zone! Richard Hammond is Embarrassed As He Drives A Challenger Hellcat! 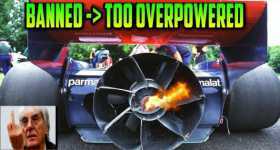 Hear How This Roaring Dodge Demon SRT RIPS Through The Engine! 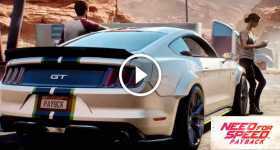 The New Trailer For Need For Speed Payback Promises A LOT! 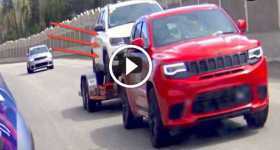 707HP Hellcat-Powered 2018 Grand Cherokee Trackhawk Prototype SPY VIDEO! DRAG RACE: The Original Fast & Furious 1970 Dodge Charger vs Others! How The Iconic Dodge Charger General Lee Was Actually Born? What Happens When A Ricer Wins The Lottery? From A Mercedes SLR Car With Gold Interior To A Leopard-Print Lamborghini! 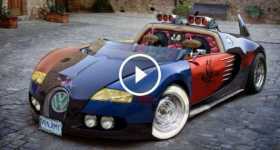 This Guy Has A Matching Trailer For His Dodge Viper!